Reich, J., Levinson, M. & Johnston, W. (2011). Using Online Social Networks to Foster Preservice Teachers’ Membership in a Networked Community of Praxis. 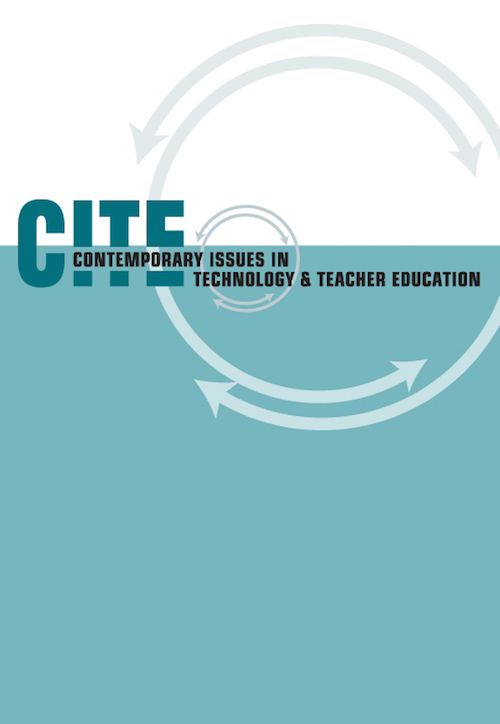 Contemporary Issues in Technology and Teacher Education, 11 (4), 382-397. Waynesville, NC USA: Society for Information Technology & Teacher Education. Retrieved April 24, 2019 from https://www.learntechlib.org/primary/p/37577/. Dede, C. (2005). Why design-based research is both important and difficult. Educational Technology, 45(1), 5-9. DuFour, R. (2004). What is a "professional learning community''? Educational Leadership, 61(8), 6-11. Duncan-Howell, J. (2010). Teachers making connections: Online communities as a source of professional learning. British Journal of Educational Technology, 41(2), 324340. Goddard, Y.L., Goddard, R.D., & Tschannen-Moran, M. (2007). A theoretical and empirical investigation of teacher collaboration for school improvement and student achievement in public elementary schools. Teachers College Record, 109(4), 877-896. Goodnough, K., Osmond, P., Dibbon, D., Glassman, M., & Stevens, K. (2009). Exploring a triad model of student teaching: Preservice teacher and cooperating teacher perceptions. Journal of Teaching and Teacher Education, 25(2), 285-296. Grossman, P., Schoenfeld, A., & Lee, C. (2005). Teaching subject matter. In L. DarlingHammond & J. Bransford (Eds. ), Preparing teachers for a changing world: What teachers should learn and be able to do (pp. 201-231). San Francisco, CA: Jossey-Bass. Kardos, S.M., & Johnson, S.M. (2007). On their own and presumed expert: New teachers' experience with their colleagues. Teachers College Record, 109(9), 2083-2106. Little, J.W., Gearhart, M., & Curry, M. (2003). Looking at student work for teacher learning, teacher community, and school reform. Phi Delta Kappan, 85(3), 184-192. McClure, C.T. (2008). The benefits of teacher collaboration. District Administration, 44(10), 82-83. Office of Educational Technology. (2010). Transforming American education: Learning powered by technology. National Educational Technology Plan, 2010. Washington, DC:US Department of Education. Schlager, M.S., Farooq, U., Fusco, J., Schank, P., & Dwyer, N. (2009). Analyzing online teacher networks: Cyber networks require cyber research tools. Journal of Teacher Education, 60(1), 86-100. Senge, P.M. (2000). Schools that learn: A fifth discipline fieldbook for educators, parents, and everyone who cares about education. New York, NY: Doubleday. Weiss, R.S. (1995). Learning from strangers: The art and method of qualitative interview studies. New York, NY: Free Press.